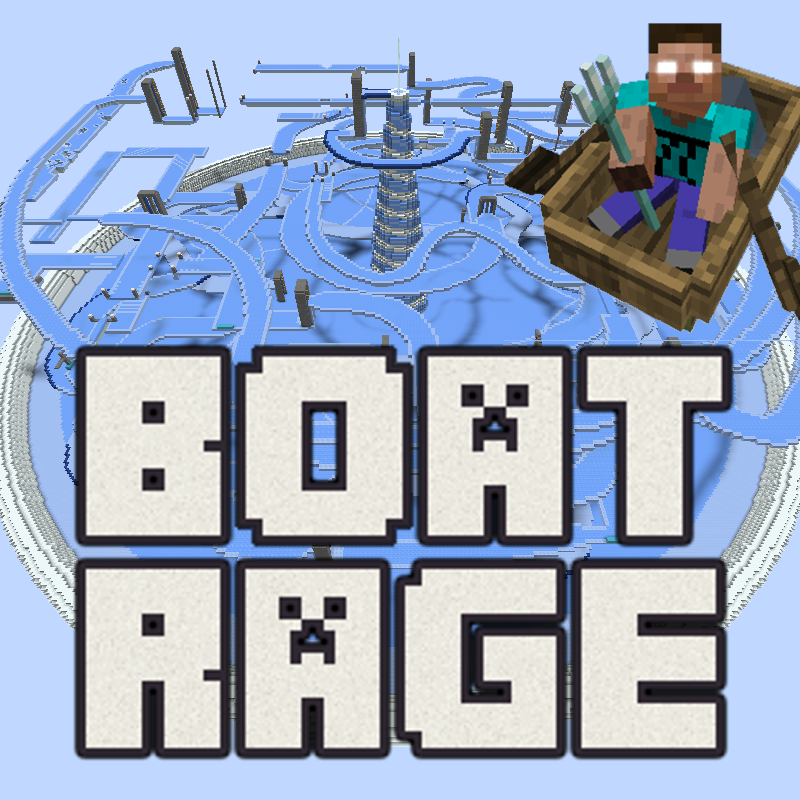 Description: Boat Rage is a map that will challenge all your ice boating skills. It is suited for both single-player and multiplayer. The map consists of an underground lobby area and 18 levels of ice track. The whole track takes about 10 minutes to complete for a skilled player who doesn't make mistakes. As you reach different levels you get achievements which allow you to summon new mobs as your passangers. Your attempts are also timed so you know how much you have improved. Challenge your friends and beat their time. My best time is 7626 (6 minutes and 21 seconds).